Photo courtesy of We Love Long Beach. This fall, Long Beach residents non-profits, businesses, local government and the faith community are invited to what is set to be the largest one-day citywide community event in the city’s history, it was announced this week. We Love Long Beach, in partnership with the Long Beach Community Foundation (LBCF) and the John S. and James L. Knight Foundation, has launched a website, to announce Around the Table, an initiative to take place on Saturday, September 23. Long Beach is one of only 10 cities selected across the United States to replicate the On the Table initiative with funding from the Knight Foundation, according to the announcement. Around the Table is modeled after On the Table, the Chicago Community Trusts’ initiative hosted for the fourth consecutive year last May. Around the Table seeks to connect individuals in the Long Beach community to provide them with an opportunity to discuss what makes the city great as well as what participants can do to collectively improve it. Around the Table aims to provide new ways people can work together to make communities stronger and safer. 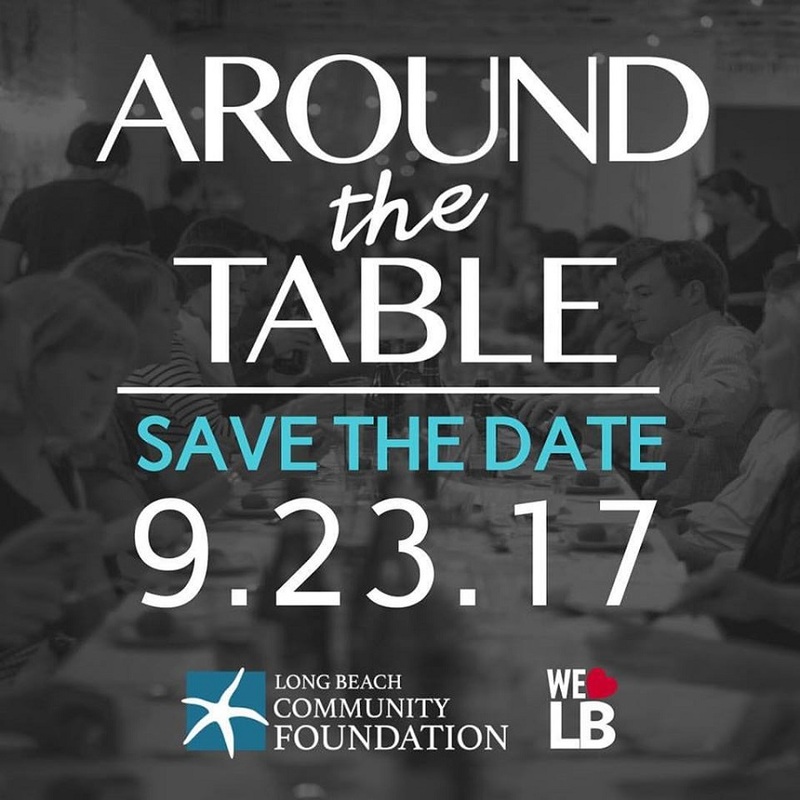 “The Around the Table initiative capitalizes on that tradition of gathering around a table for a meal and provides a platform for diverse populations, as well as like-minded individuals, to gather and share dialog that will move the Long Beach community in a positive direction,” LBCF Board Chair Gary DeLong said in a statement. Twelve Long Beach libraries, Rancho Los Cerritos, and The Attic have registered to be “super” hosts that can accommodate five or more tables of 50-plus participants. All Long Beach fire stations will host tables and are expected to be registered in the next few days, according to the announcement. Individuals are also invited to host their own events with eight to 12 guests or join the super hosts with facilitating a larger group if they are able. A table can be hosted just about anywhere, front yards, in homes, at the beach, in the park, at schools, at a hospital, at coffee shops, on boats, or in restaurants, to name several options. It can be over breakfast, lunch, brunch, dinner, potluck, happy hour or simply wine and cheese. The Around the Table goal is to have more than 1,000 tables and 10,000 participants throughout the city conversing on September 23. Long Beach community members are encouraged to visit the newly launched website here to learn more, sign up as a participant, or register as a table host. Support for On the Table is one part of Knight Foundation’s efforts to help cities attract and keep talented people, expand economic opportunity and create a culture of civic engagement. You can read more about this national expansion by clicking here.